The tl;dr? Yes, it's as good as every car critic says. In fact, it's hard to think of anything to say about this car that hasn't already been said by dozens of car reviewers. Yes, it's brilliant. 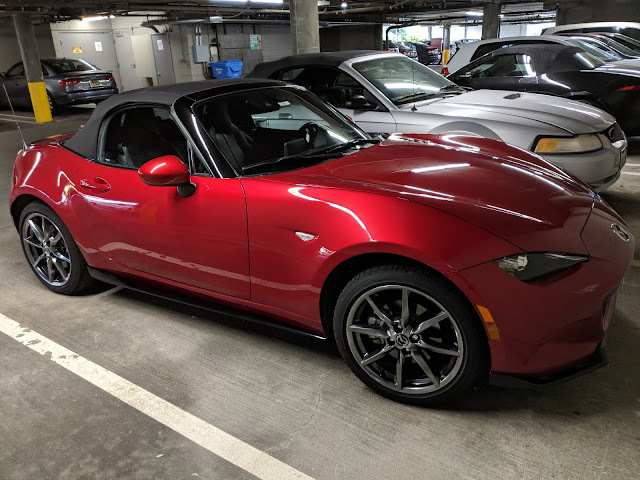 Thanks to Turo, I spent a weekend with this 2017 "ND" Miata (Mazda's fourth generation of the most popular sports car in history, NA, NB, NC, ND, get it?) in "soul red" and "grand touring" trim (that's the most feature-loaded trim package, above "base" and "club"). 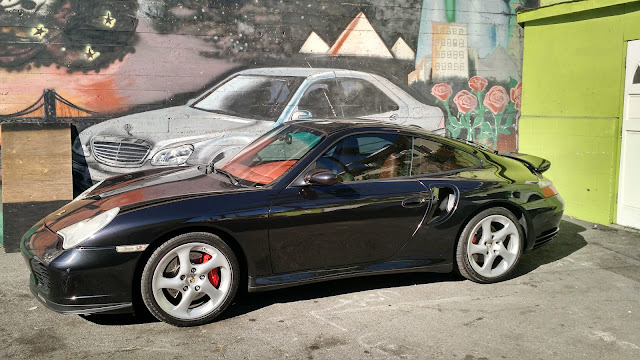 You can see the listing for the car here, and its owner, Rob, was an excellent Turo member to rent from. 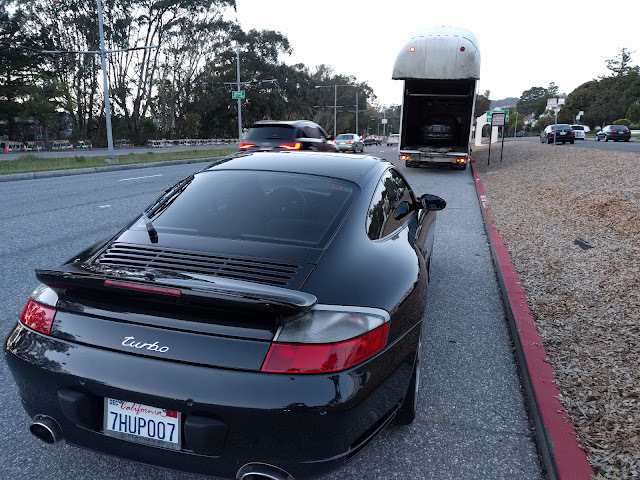 I drove it from Sunnyvale to Carmel and back over the course of three days. Primary impressions: (1) while I have nothing against turbocharged cars, the Miata makes the most of the linear throttle response from its naturally aspirated engine; (2) the steering was very good, if a little twitchy; (3) I still hate where they put the controller for the entertainment/nav system, as it falls right under your wrist after you shift, resulting in unintended entries; and (4) OMG the heated seats are a must-have feature in a convertible, making top down driving during NorCal nights pleasant. But all the other bits are just perfect, classic Miata. It goes great through the corners (I took twisty state route 9 from Santa Cruz over to Los Gatos), even when a trio of hotshots in Honda S2000s are chasing you. Compared to my 1997 Miata, this one was quieter with the top down, had a much more listenable audio system (not as good as the 2018 Mustang convertible, tho), had noticeably more power, and did I mention the heated seats? Only two things are keeping me from buying a new ND Miata. First, no Android Auto (yet). Second, the 2019 model year apparently will offer a little more power, which would be welcome.